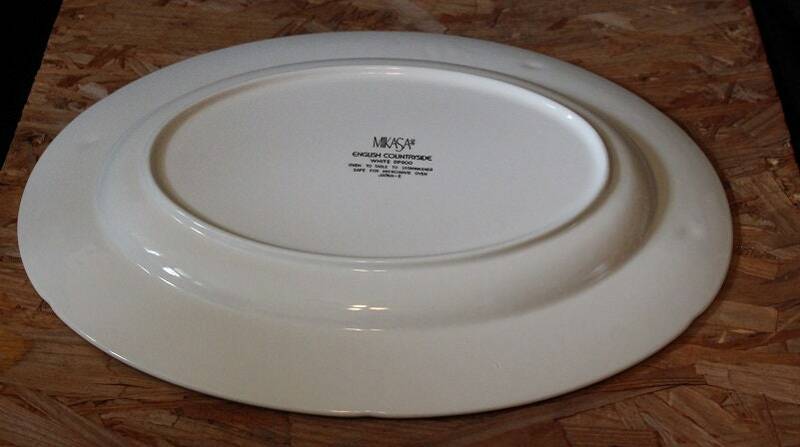 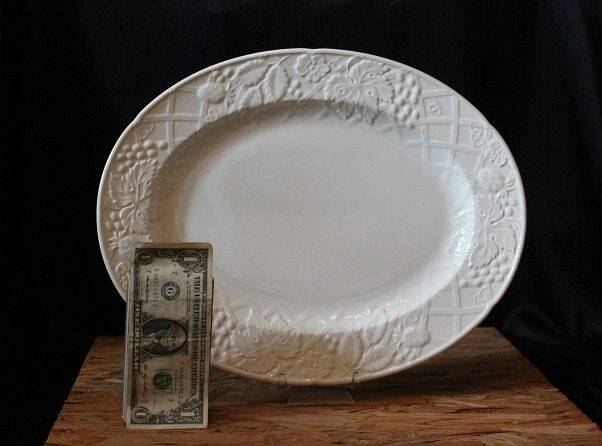 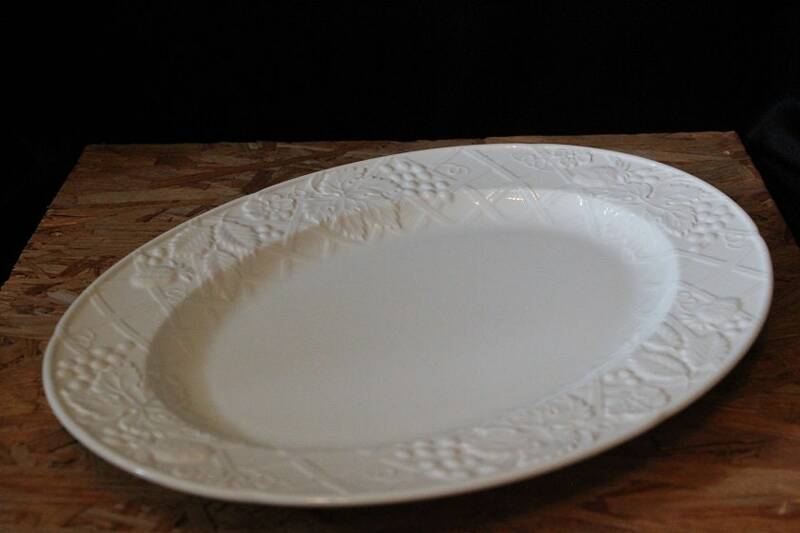 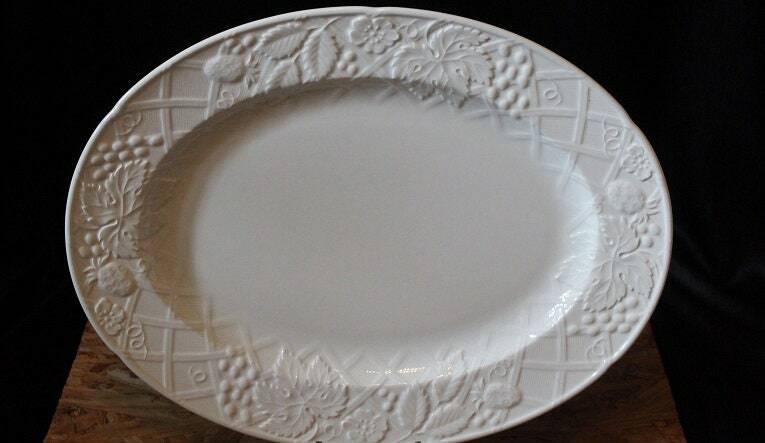 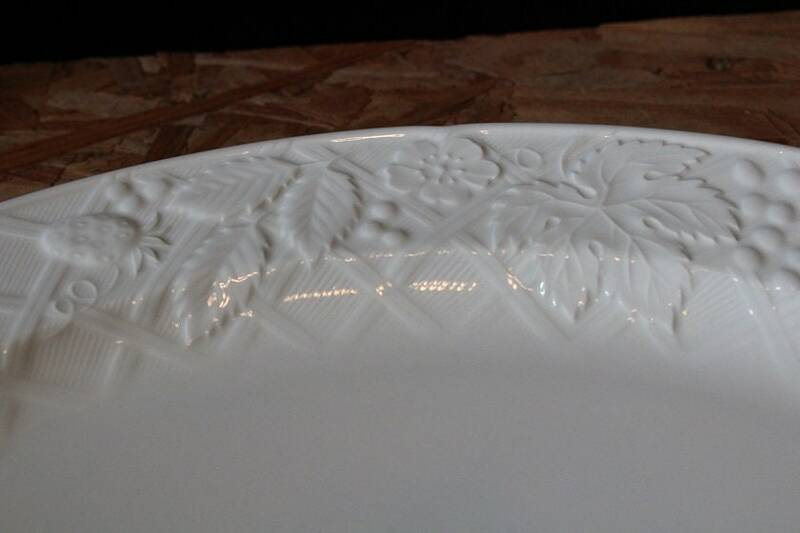 Serve your favorite dish in style with this vintage serving platter. 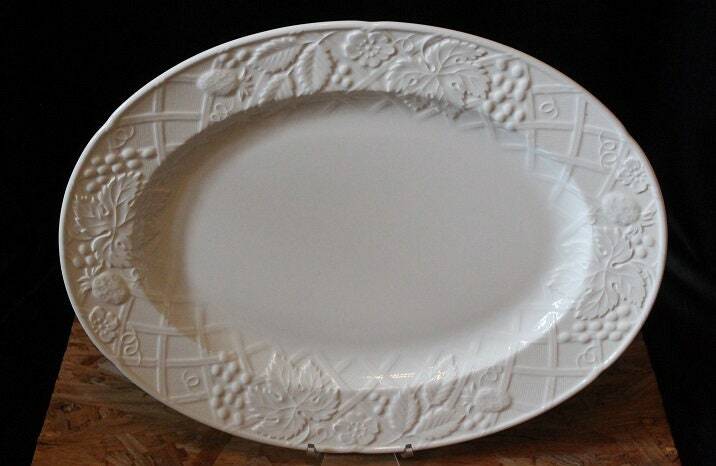 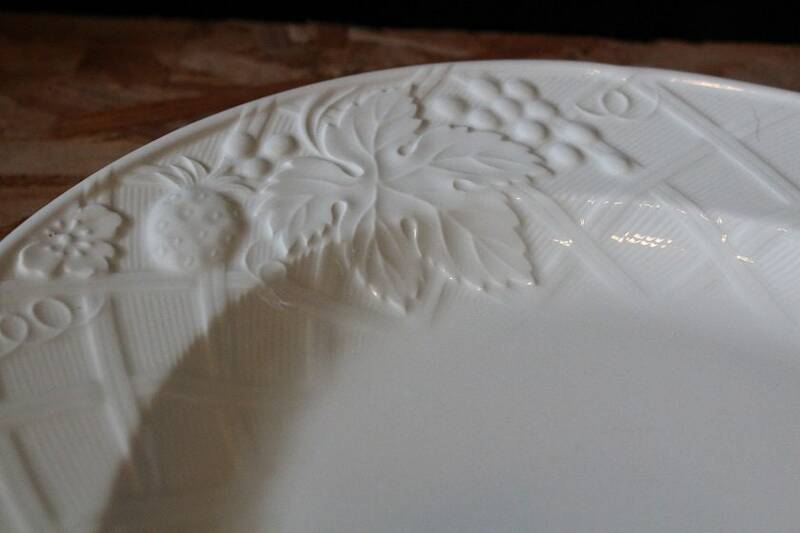 It is an overall white color and features a raised floral, fruit and lattice weave design circling around the rim. 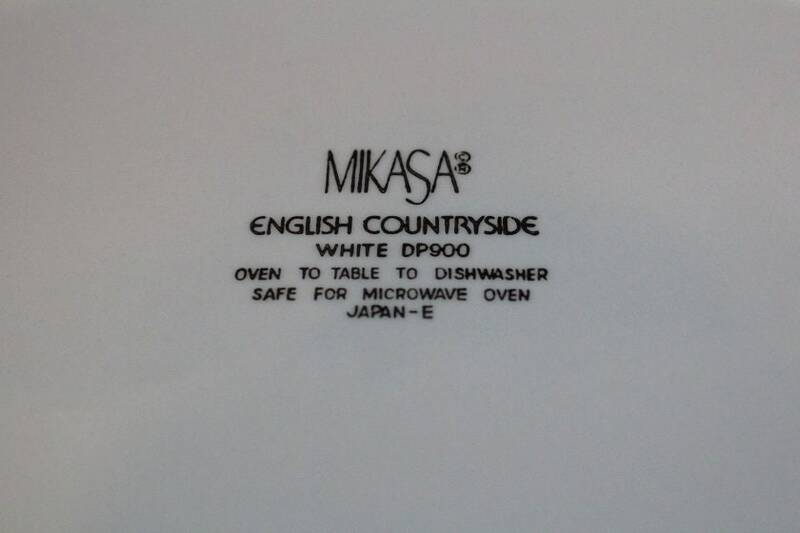 The piece is marked "Mikasa / English Countryside " on the bottom.